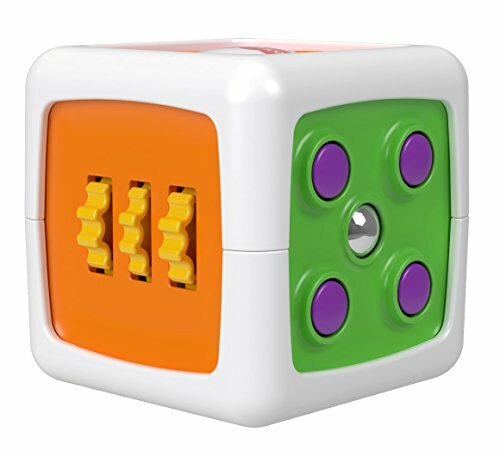 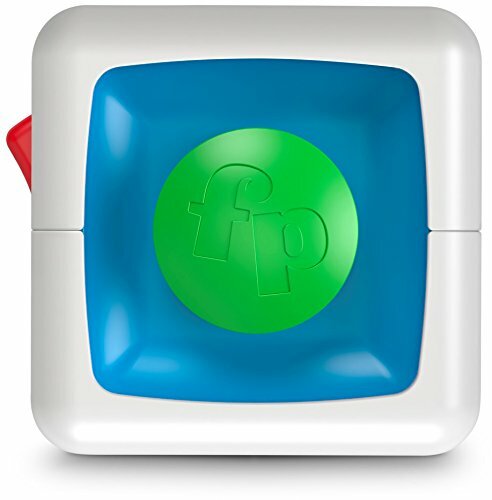 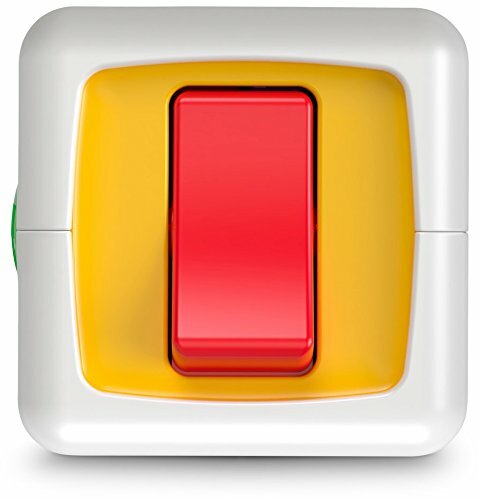 “From colorful clickers to spinning rollers, a toggle switch and more, this cube is loaded with exciting activities for tiny fingers to explore! 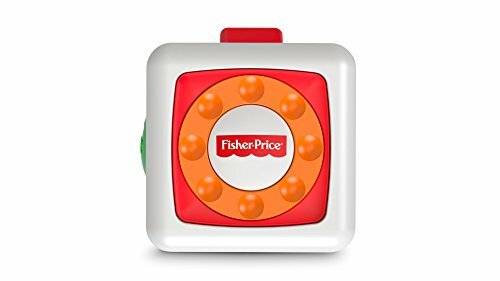 With six sides of unique fine motor skill-boosting play and a variety of colors and textures, this activity block will keep your little one busy as a bee! 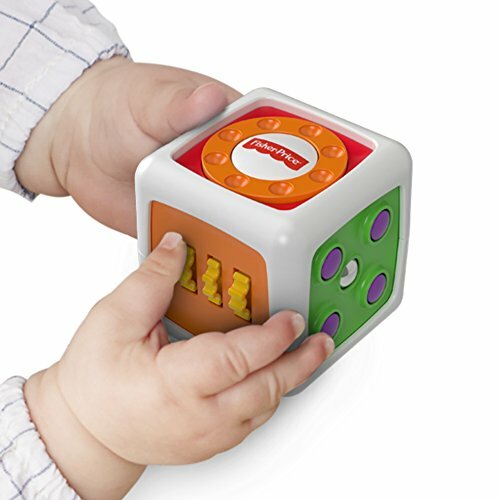 Where development comes into play Fine Motor: Little hands can strengthen dexterity by grasping the block and pressing, spinning or pushing the different activities. 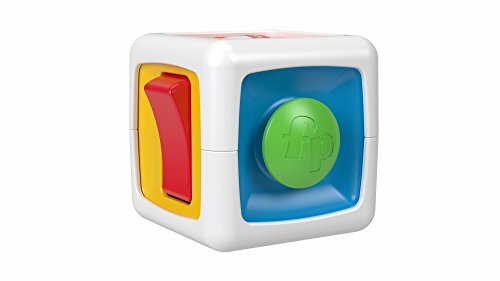 Sensory: All that clicking, spinning, and exploring will engage and excite your baby’s developing tactile and auditory senses! 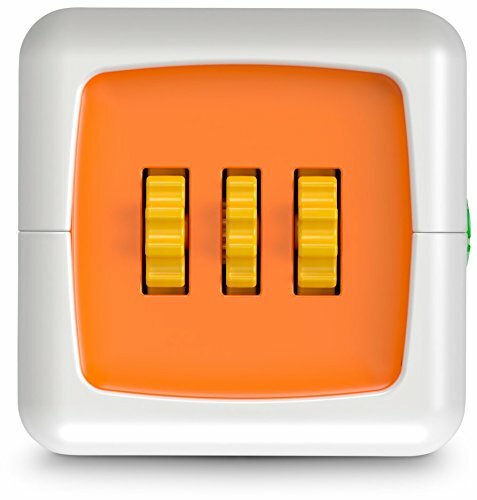 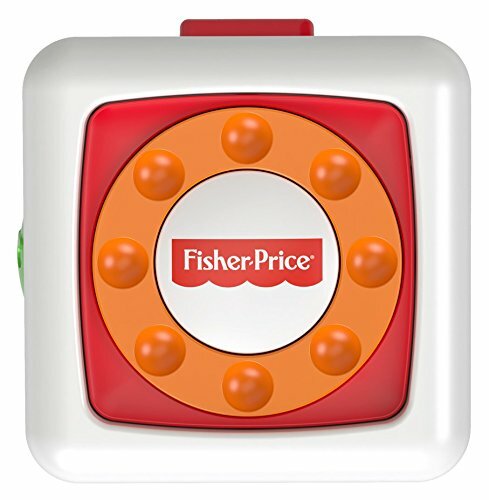 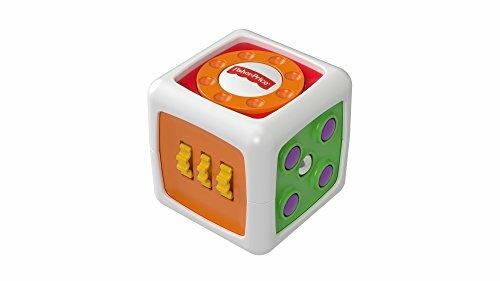 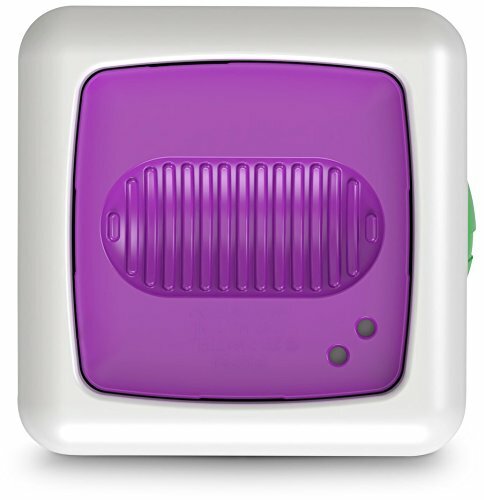 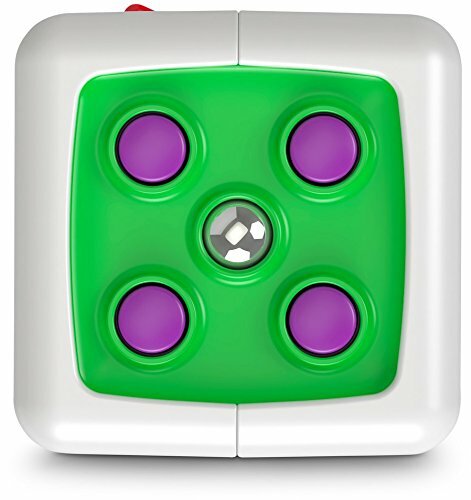 Curiosity & Wonder: Little ones are introduced to cause & effect as they toggle and push to hear clicking sounds.”.6 sides of play, each with a unique activity!